Jeanerette, LA – June 11th, 2018: Following a motion approved by the U.S. Bankruptcy Court Southern District of Alabama on June 5th, 2018, Louisiana-based shipbuilder Metal Shark has acquired the assets of Alabama-based Horizon Shipbuilding. 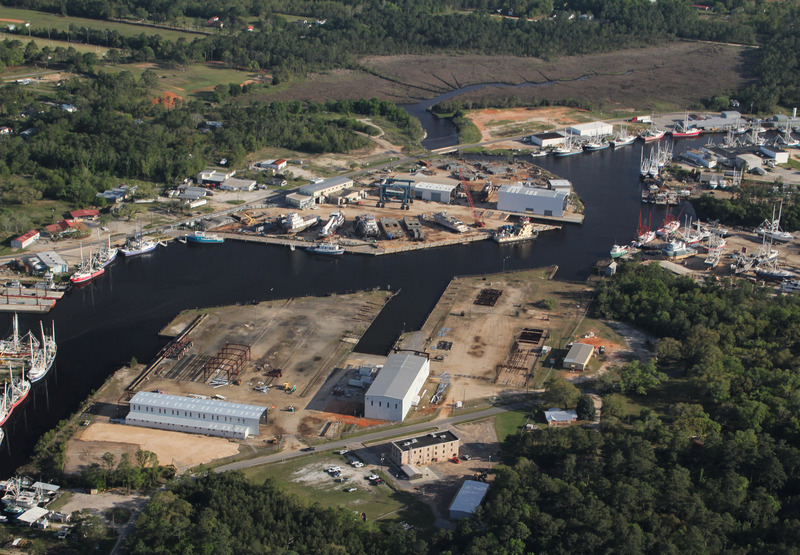 With the acquisition, Metal Shark assumes ownership of a fully developed 35-acre shipbuilding facility in the Mobile Bay region, with separate east and west yards both fronting a dredged deepwater inlet. The facility boasts a total of nine assembly buildings; a 660-ton Travelift; multiple cranes, CNC plasma cutters, welders, and other fixtures supporting the construction of steel and aluminum vessels up to 300’ in length and 1,500 tons launch weight. 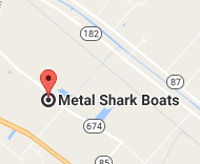 Metal Shark’s new Alabama yard is situated just minutes from the Intracoastal Waterway with direct access to the Gulf of Mexico. With its new facility, Metal Shark plans to be active in the design and construction of custom steel vessels for multiple markets, as well as the refit, repair, and conversion of existing vessels. Since filing for bankruptcy protection under Chapter 11 in October of 2017, Horizon has continued to operate under the direction of company CEO Travis R. Short. With the acquisition, Mr. Short will join Metal Shark, where he will serve as Executive Vice President. The acquisition of Horizon is the latest in a series of expansion moves by Metal Shark. In 2014 the company opened its 25-acre Franklin, Louisiana shipyard, which currently produces aluminum vessels up to 200’ in length including passenger vessels and larger military craft. The most recent Franklin expansion includes a new 200’ x 80’ large vessel assembly building and 8,000 square-foot office building just finished this year. Meanwhile, the company’s nearby 15-acre Jeanerette, Louisiana production campus, also expanded numerous times in recent years, currently produces nearly 200 boats a year for U.S and foreign militaries, law enforcement agencies, fire departments, and others. The company is heavily recruiting as it seeks to bolster its workforce to support its growth plans.